Dottie Nelson spent a significant portion of her working career making a difference in the lives of people in the local community. That includes 12 years as CEO at Villa Esperanza, a non-profit organization devoted to the care and education of disabled children and adults. 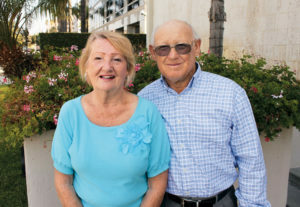 When Dottie and Byron retired, they wanted to find a way to give back to the local community in a way that would continue for years to come. Dottie’s experience with nonprofit organizations made her aware of the wonderful work being done by the Pasadena Community Foundation. She knew that is where their endowment would be able to do the most good.